How Can You Style Viyet Pieces? Let Us Count the Ways…Don’t get us wrong: we love Craigslist as much as the next person. But occasionallyâ€”well, pretty much alwaysâ€”going on the site can be a crapshoot, offering tons of potential items that might be good but either the photo makes it hard to tell exactly what you’re looking at, or the piece is amazing and the seller is impossible to reach, or an item just straight up disappears soon after you’ve found it. Most will agree that when it comes to shopping for secondhand pieces that are actually designer-approved, the struggle is real. Hence, why we existâ€”making it easier for you to find genuine high-end items that (you sometimes wouldn’t believe) are secondhand. 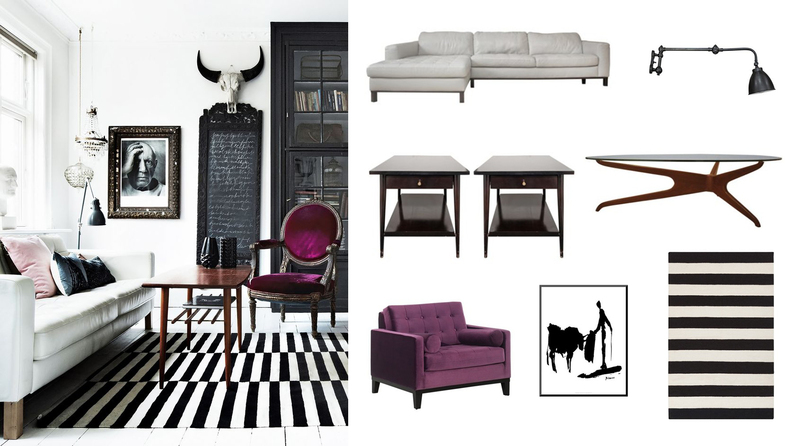 Our friends over at nousDECOR totally agree; so much so, in fact, that they created several moodboards showing the myriad ways you can transform your space with Viyet pieces. Take a look, and get ready to start visualizing our pieces in your own home. 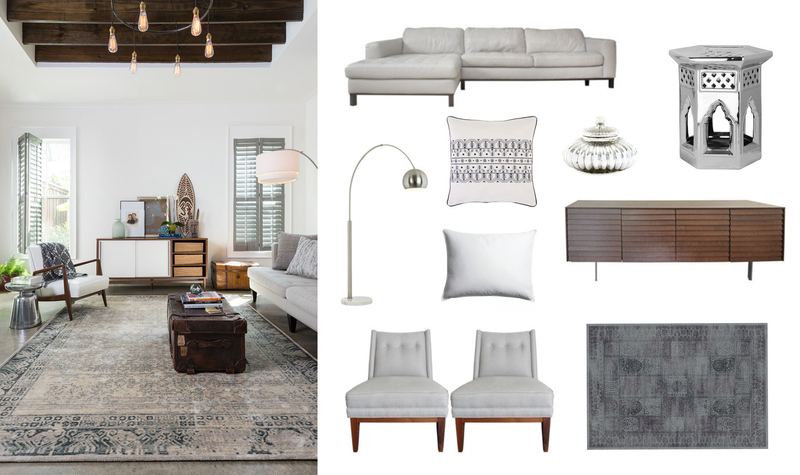 Our pretty gray sectional and matching table lamps work masterfully into a luxe, contemporary living room. 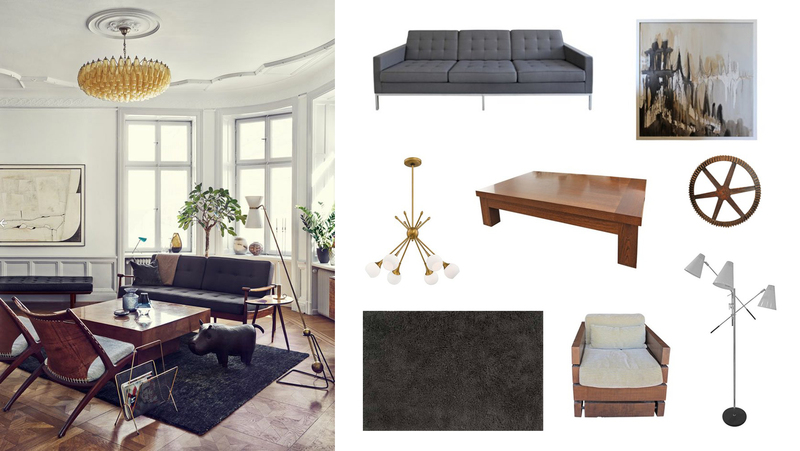 La Barge Vintage Glass Coffee Table,Â Gus Jane Bi-Sectional Sofa,Â Madeline Weinrib Cotton Chi Chi Kari Rug,Â Vintage Restored Mohair Armchair,Â Ralph Lauren Brass Yvonne Table Lamp. A Viyet rug and set of accent chairs in soft grays and lighting pair perfectly with a modern Mid-Century space. 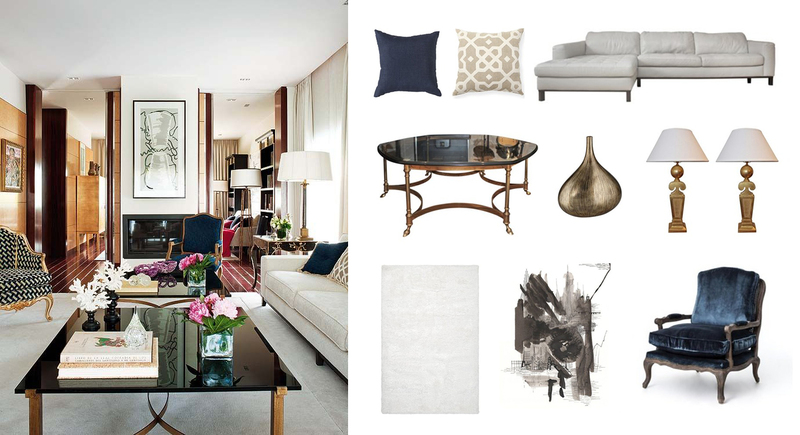 Jonathon Adler Linen Tufted Morrow Chairs,Â Room Capitan Linen Tufted Sofa,Â George Nelson Saucer Pendant Light,Â Hinson & Company Tripod Chrome Floor Lamp,Â Madeline Weinrib Cotton Chi Chi Kari Rug,Â Dransfield & Ross Decorative Ribbon Pillow. 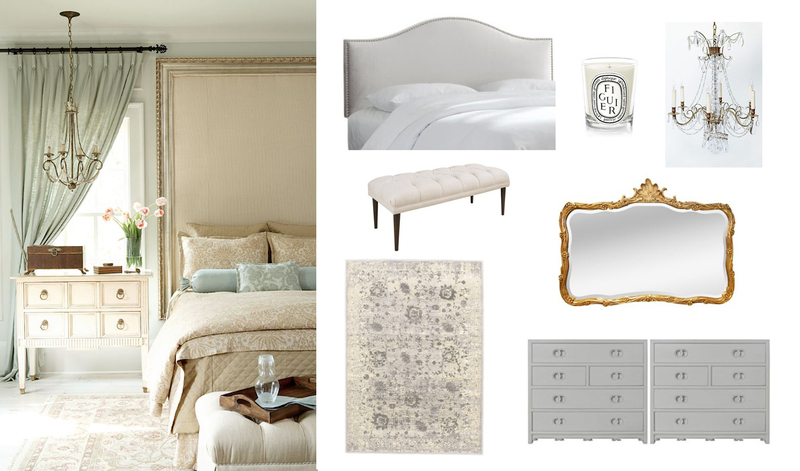 In a traditional, feminine bedroom, a gorgeous chandelier and gilded mirror are perfect. Friedman Brothers Cromwell Gilded Mirror,Â Robert Lighton New York Cotton Blend Ashford Bench,Â Antique Louis SV Style French Chandelier,Â Poltrona Frau Leather Aurora Queen Bed,Â Baker Vintage Dressers,Â Madeline Weinrib Cotton Chi Chi Kari Rug. A credenza and accent chairs available on our site are easily integrated into a boho bedroom. Terence Woodgate Walnut Finish Sussex Credenza,Â Jonathon Adler Linen Tufted Morrow Chairs,Â Mark Inc. Hand-Knotted Silk Rug,Â Gus Jane Bi-Sectional Sofa,Â Flos Super Archimoon Floor Lamp. Sleek items from our modern section are ideal for colorful, modern living spaces. Gus Jane Bi-Sectional Sofa,Â Ann-Morris, Inc. Metal Swing Arm Sconces,Â Ed Hardy San Francisco Companion Mid Century Chairs,Â Knoll Associates Walnut and Laminate Nightstands. 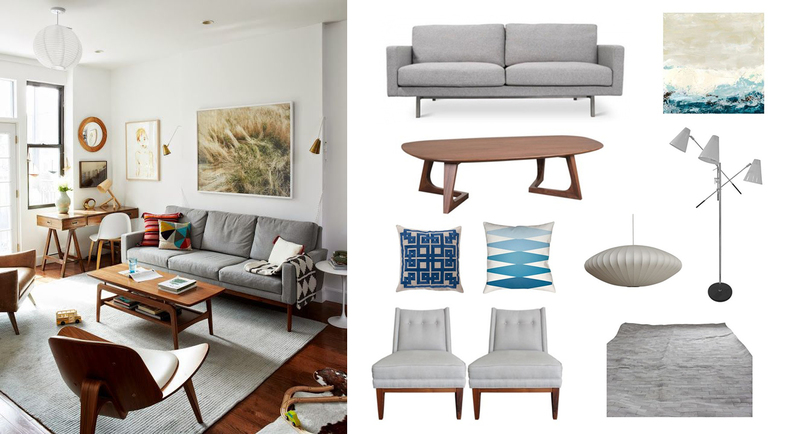 Even a vintage, Mid-Century loft could use a few of our antique pieces. Poltrona Frau Leather Kennedee Sofa,Â Hinson & Company Tripod Chrome Floor Lamp,Â Mimi London La Jolla Swivel Lounge Chair,Â Erika Brunson Kangji Coffee Table.